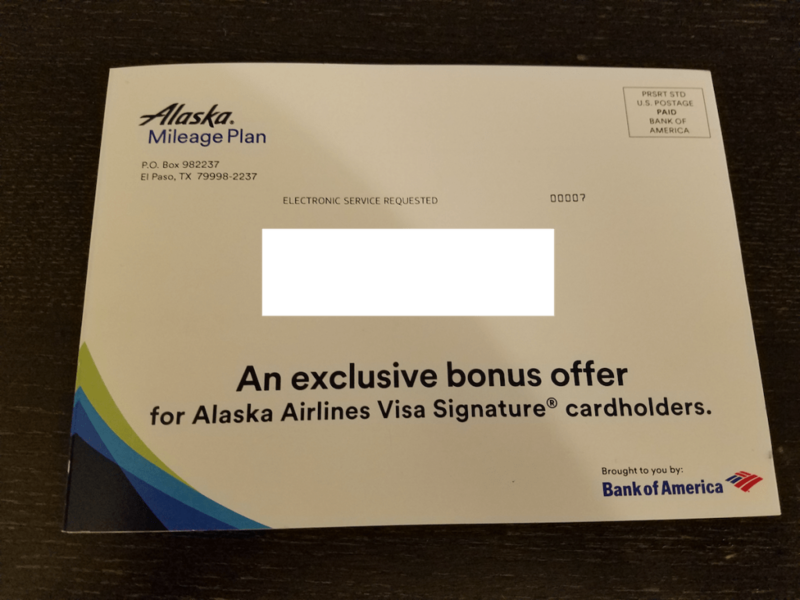 It appears that Bank of American is targeting certain cardholders with an Alaska Airlines Visa flight discount bonus offer. 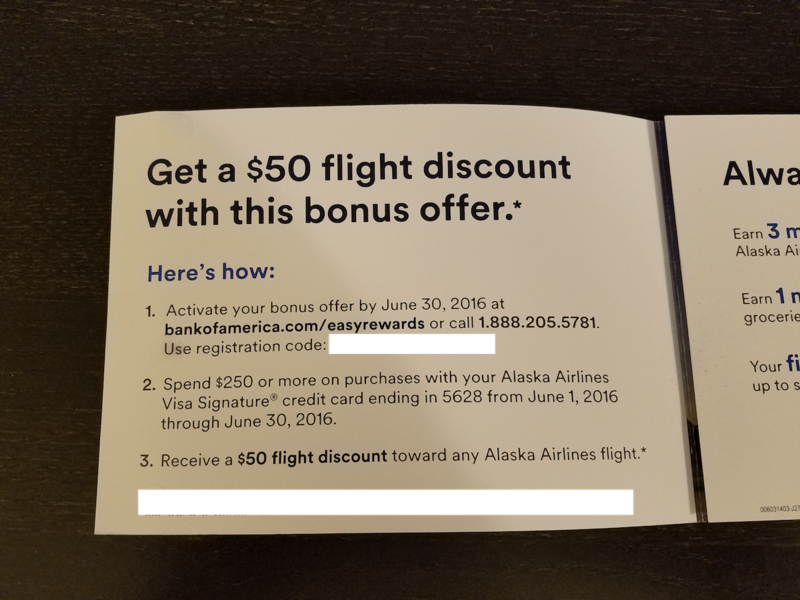 Once you register at bankofamerica.com/easyrewards with your personalized offer code, you have the month of June to spend $250 on the targeted card to earn a $50 credits for use on a future Alaska Airlines flight. 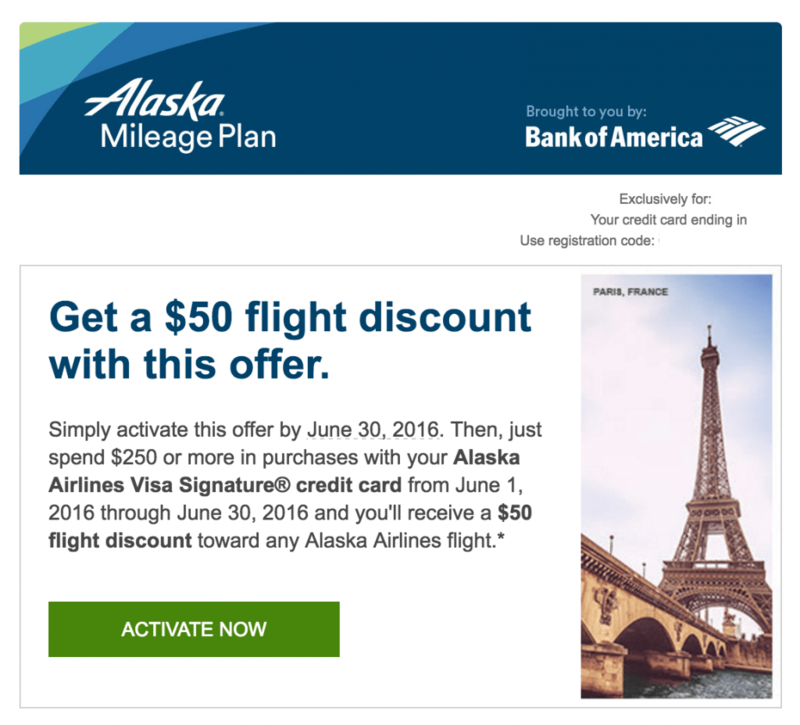 I was first targeted for this Alaska Airlines Visa $50 flight discount bonus offer via an email from Bank of America. A few days later I received a paper copy in the mail. 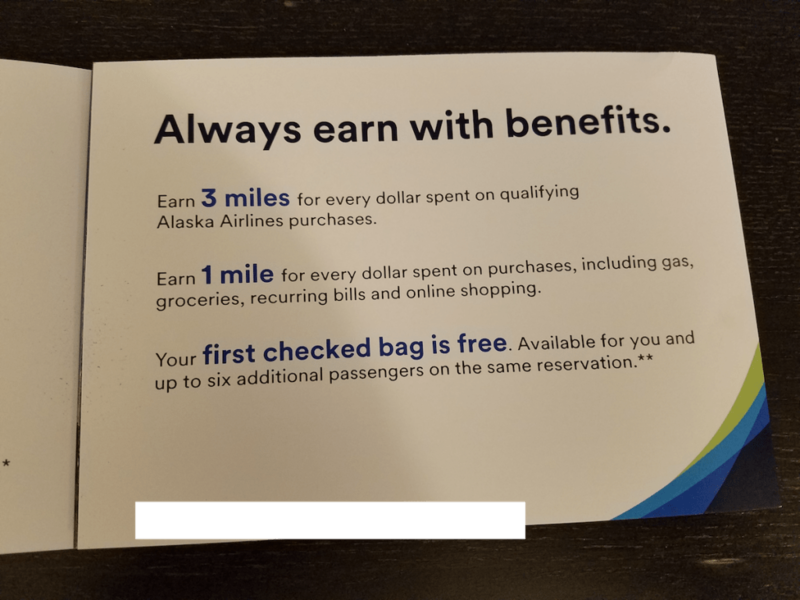 Both offers had the same “registration code” and were only good on one of my Alaska Airlines Visa cards through Bank of American (I have two of the same cards). Interestingly it was targeted for my card that has it’s annual fee coming up this month, the same month that this offer is valid. Reports on FlyerTalk are that those with the annual fee due in June are the ones receiving the offer. The discount code is automatically added to you online Alaska Mileage Plan account within 12 weeks of the end of the promotion (June 30) which means you should have the $50 voucher no later than September 30 or so. The voucher is good for one year after it has been issued. *To be eligible for this offer, your account must be open with charging privileges and you must activate this offer by June 30, 2016. 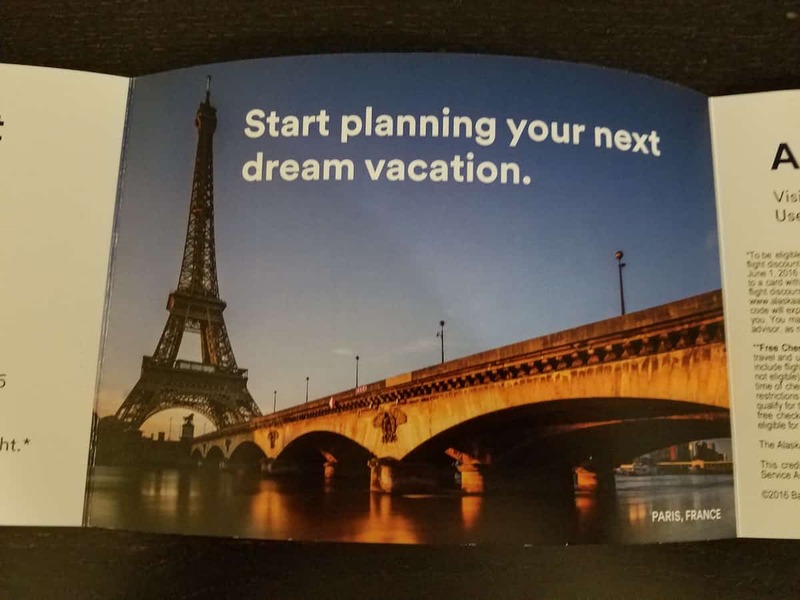 You will receive a $50 flight discount code on future travel if you activate this offer and make purchases of $250 or more with your Alaska Airlines Visa Signature® credit card from June 1, 2016 through June 30, 2016. We reserve the right to verify eligibility of all transactions. 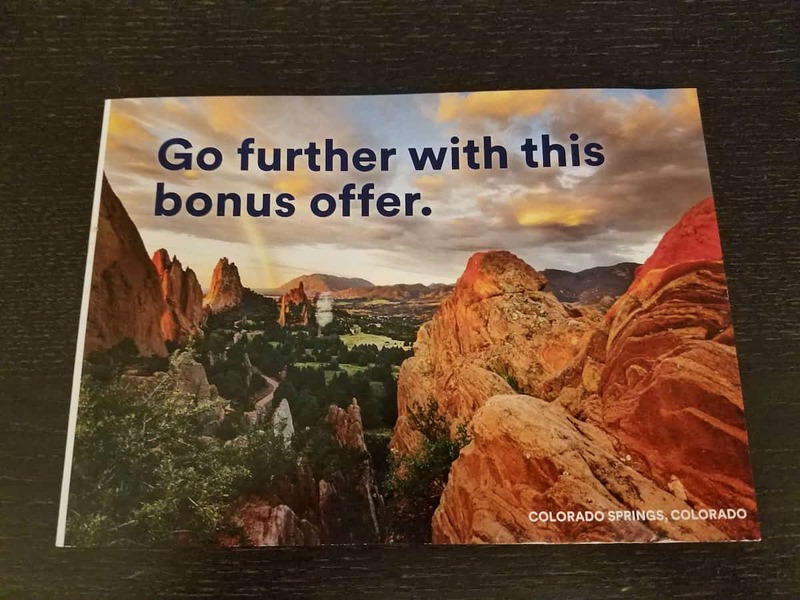 If your account is converted to a different rewards program or to a card without a rewards program during the offer timeframe, the offer is no longer valid. Allow up to 12 weeks from the end of the promotion for the $50 flight discount code to appear in your Alaska Airlines Mileage Plan™ online account. You must use ‘My Account’ to access the $50 flight discount code at www.alaskaair.com/myaccount. The discount code can only be used on Alaska Airlines flights and is not valid on partner airlines. The $50 flight discount code will expire one year from the date issued to your Alaska Airlines Mileage Plan online account. The value of this reward may constitute taxable income to you. You may be issued an Internal Revenue Service Form 1099 (or other appropriate form) that reflects the value of such reward. Please consult your tax advisor, as neither we, nor our affiliates, nor their employees provide tax advice.